Hi! I'm Davey! I'm a great big dude lookin' for love, playtime, kisses and fun! I'm new to Summit Dog Rescue and they're learning more about me every day. So far they say I'm a 75 lb. 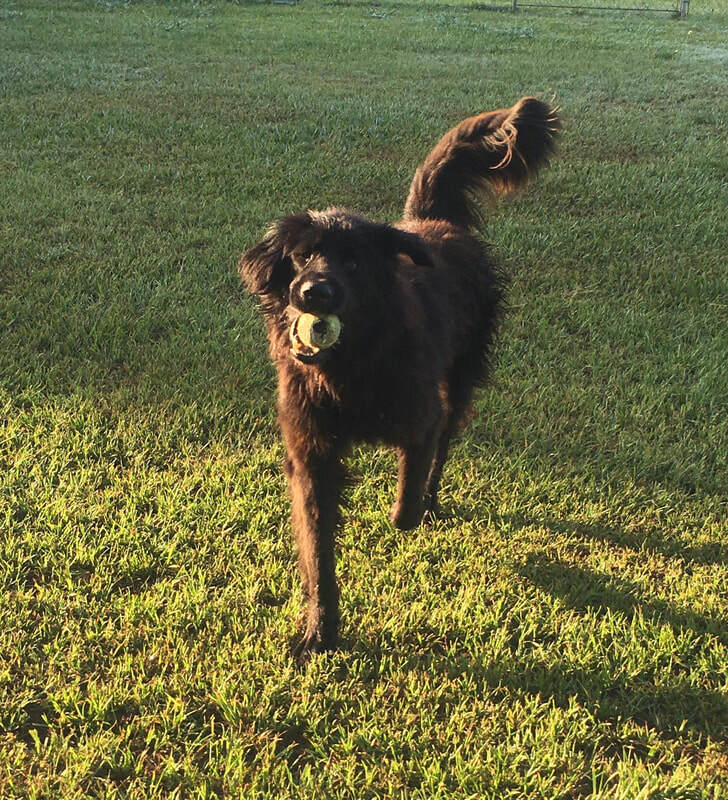 Flatcoat/Newfy mix, and that makes me extra special. My dream job would be Minister of Magical Feel Good Charms, as people tend to smile when they're around me. I also aspire to be a professional ball fetcher. "I heard the nice lady saying something about a transport this week. I am not sure what that exactly means but I see them packing up my stuff. The vet who gave me my health certificate said, 'This big guy will love the mountains of Colorado' - not sure where Colorado is, but I am a big lover so will probably love it! I hope mountains are cooler than Texas, cause I am getting hot down here. Au Revoir, Texas. Colorado, here I come, - SDR adoptable dog, Davey"
And now I'm happily getting to know my new life here in the mountains! More pics and info to come, so check back here often. In the meantime, for more info about me and/or to apply to adopt me, go to the top toolbar, click Adopt, click Dog Application; then fill it out and send it in. A nice volunteer from Summit Dog Rescue will get back to you as soon as they can.